Similar to Restylane® and Perlane®, Juvéderm™ is made of hyaluronic acid – a naturally occurring substance found already in the skin that helps to add hydration and volume. 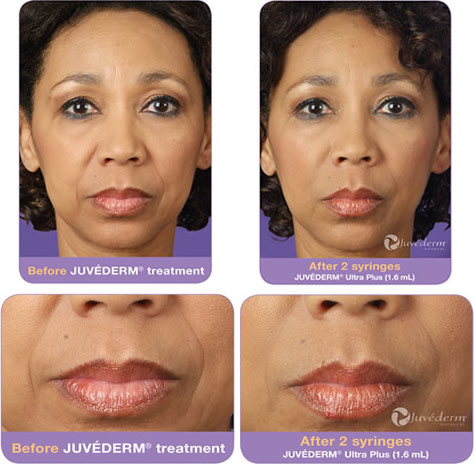 Juvéderm™ is proven to restore lost volume to the skin, along with smoothing away lines and wrinkles. The initial appointment includes a complimentary consultation to discuss expectations and review & complete the consent forms. The treatment itself will take about 30 minutes and includes the numbing cream and treatment. It is approved by the FDA to last up to 1 year. One week prior to treatment, patients will want to avoid taking aspirin, anti-inflammatory medications, Vitamin E and St. John's Wort. This will help minimize any bruising or bleeding. The most common side effects are temporary swelling and redness and these will usually subside within 2-3 days. 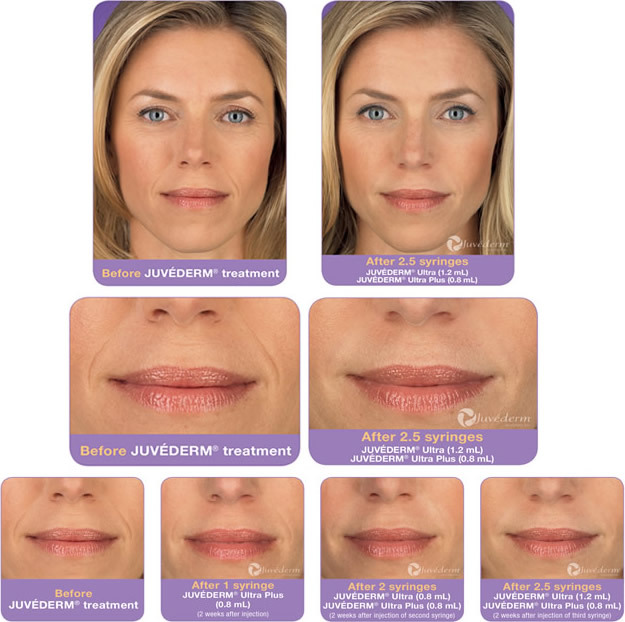 Before and After pictures are available on the Juvéderm™ website. For additional information, please call our office and ask to speak to one of our Medical Aestheticians.